A selection of lastocard twine cards available in cotton twine, sisal twine, jute twine, poly twine and builders lines wound around a card for easy dispensing and re-wrapping. These reatil packs are great value and are ideal for keeping handy in the home, office and garden. 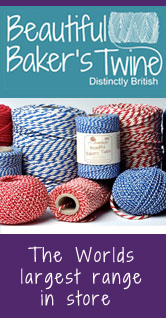 Our Everlasto lastocard twine cards are made in the UK by James Lever of Bolton, rope and twine manufacturers since 1856. 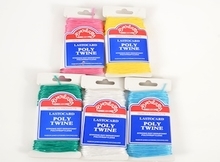 5 Pack of Everlasto Lastocard coloured poly twine cards. Ideal for holticultural use, as well as in the home and office. A strong coloured synthetic poly twine resistant to oil, water, rot and abrasion. Wound on a card for easy dispensing. 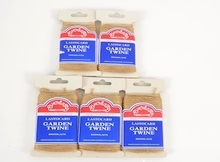 A quality Everlasto product made in the UK by james Lever, Bolton. .
5 Pack of Everlasto Lastocard Brown Jute Garden Twine. These jute twines are great for holticultural use and will blend in easily amongst your floral arragements and plants. Can also be used as a general purpose twine and for craft projects. 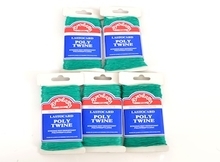 5 Pack of Everlasto Lastocard green poly twine cards. Ideal for holticultural use, tying up plants, marking out seed lines as well as much more. A strong poly twine resistant to oil, water, rot and abrasion. 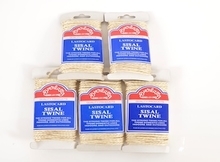 5 Pack of Everlasto Lastocard Sisal Twine cards. These strong sisal twines are ideal for use in oily situations due to their rough texture, and ideal for heavier loads. Also great for general packaging use. 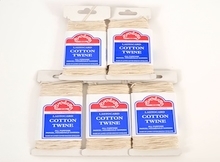 5 Pack of Everlasto Lastocard Cotton Twine cards.